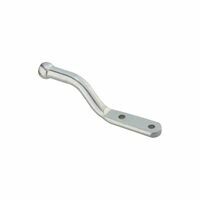 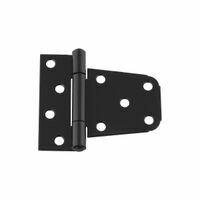 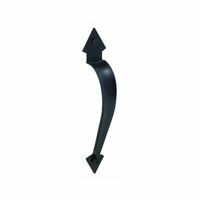 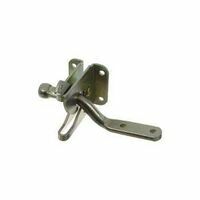 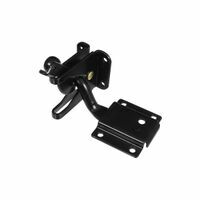 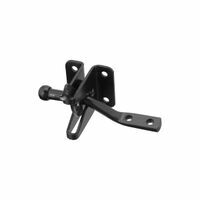 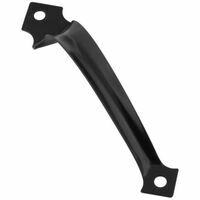 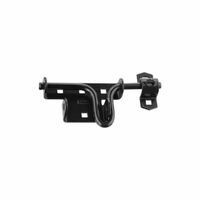 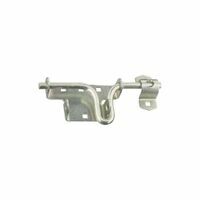 National Hardware Ornamental Pull, Series: V3, Suitable For Use With: Gates, Cabinets, Doors and Drawers, 8-3/4 in Length, Steel, Black, Zinc Plated, Includes: Mounting Lags, BHMA A138.18 National Hardware Gate Latch, Automatic, Series: BPB21, 4.44 in Overall Height, 2.37 in Overall Depth, Gate, Post Mounting, 0.22 in Diameter Mounting Hole, Suitable For Use With: Out Swing Gates, Doors and Animal Pens, Steel, Black, Includes: Mounting Screws, BHMA A138.18 Designed as replacement hinge for tubular pipe gates. 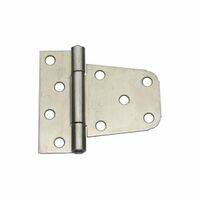 1-5/8" hinge for 5/8" size and 2" hinge for 3/4" size. 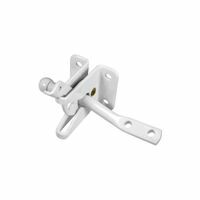 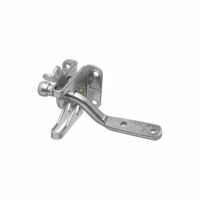 National Hardware Gate Latch, Automatic, Series: V21, 4.44 in Overall Height, 2.37 in Overall Depth, Gate, Post Mounting, 0.22 in Diameter Mounting Hole, Suitable For Use With: Out Swing Gates, Doors and Animal Pens, Steel, White, Includes: Mounting Screws National Hardware Lag Bolt, Series: V1863, Heavy Duty, 1/2 in Thread, 3 in Overall Length, Hex Head, 5/16 in Height x 3/4 in Width Head, Steel, Powder Coated, Black Design for a variety of applications. 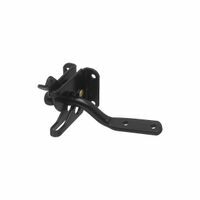 Hex lags included for mounting. 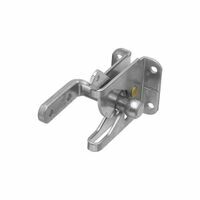 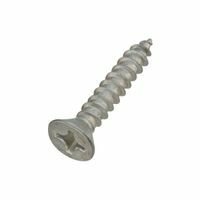 Triple protected finish for extra corrosion protection. 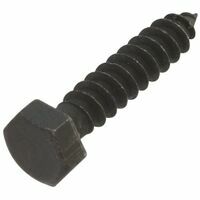 Visual-pack. 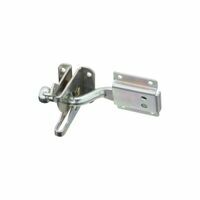 National Hardware Gate Latch, Automatic, Self-Adjusting, Series: V21A, MaxLatch, Gate, Post Mounting, Stainless Steel, Zinc Plated, Includes: Mounting Screws, BHMA A138.18 National Hardware Door/Gate Latch, Sliding Bolt, Series: V1134, 6.19 in Overall Height, Suitable For Use With: Left or Right Hand Swinging Doors, Sliding Doors and Gates, Steel, Zinc Plated, Includes: Carriage Bolts and Screws, BHMA A138.18 Non-Welded, Assembled, Can Be Used In Exterior Or Interior Applications, Boxed Loose.